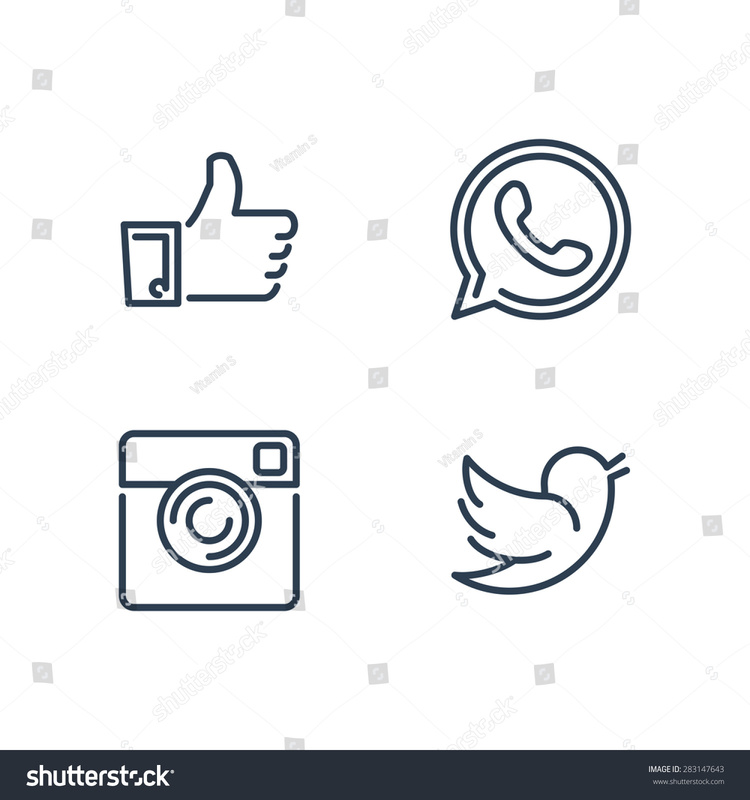 Line designed vector icons of like, handset, camera and bird for social media, websites, interfaces. Like icon eps. Social media icons set.